Bring your cell phone along on your next Rambo Bike adventure without worry when you have this Rambo Cell Phone Accessory Bag. 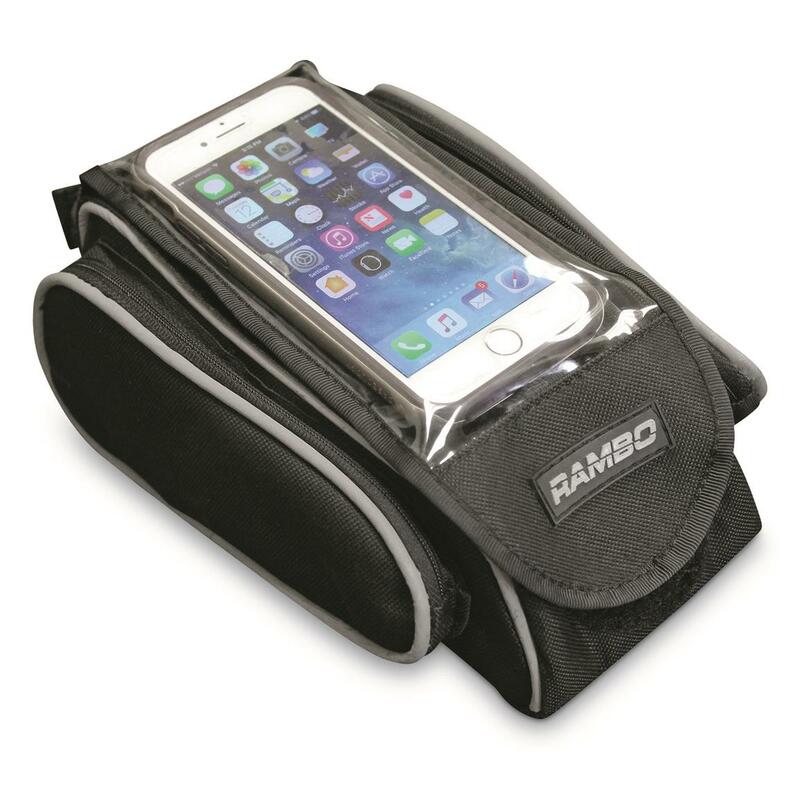 It's water resistant and holds your phone in the top flap and smaller gear inside. 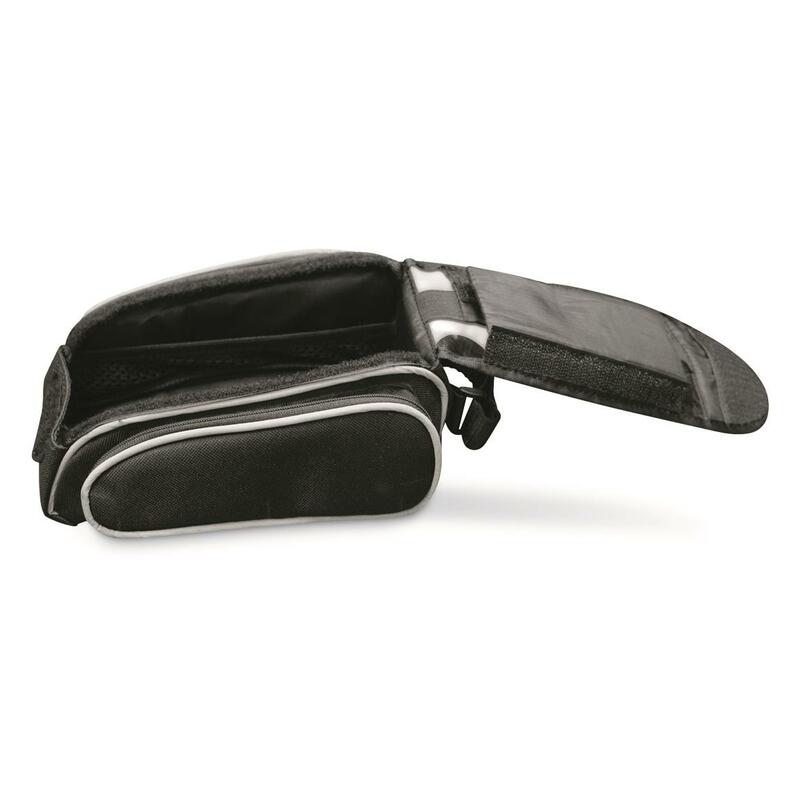 You'll also be able to your GPS or navigation on your phone while it's inside the bag. How convenient is that? Dimensions: 8.5" x 6" x 3.5"